Donald Hunsberger (BM54’E, MM59’E, DMA63’E), Conductor Emeritus of the Eastman Wind Ensemble, and his wife, Marjorie (Polly) (‘58E, MM’60’E) have made a generous gift to establish the Donald and Polly Hunsberger Endowed Conducting Scholarship at the Eastman School of Music. This permanent fund will provide scholarships for graduate conducting majors, with a preference for students specializing in wind conducting, with the goal of ensuring that Eastman has the resources needed to remain competitive with its peers in recruiting top conducting student candidates. “We are deeply grateful to Don and Polly Hunsberger for their generous gift which will provide scholarship support to our talented conducting students. These are the individuals who will lead the ensembles of the future, thanks to the marvelous support provided by the Hunsbergers,” states Jamal Rossi, Joan and Martin Messinger Dean at Eastman School of Music. Few musicians are more closely associated with the Eastman School of Music than Don Hunsberger. Don received three Eastman degrees: a Bachelor of Music in 1954; a Master of Music in 1959; and a Doctor of Musical Arts in 1963. In 1965, Don succeeded both A. Clyde Roller and Frederick Fennell as the conductor of the Eastman Wind Ensemble, a post he held until 2002. 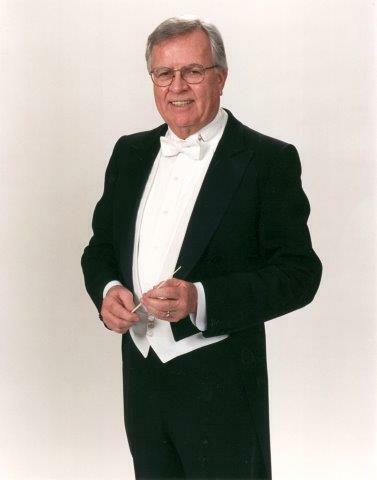 Don is a true ‘Eastman Legend’ and remains Professor Emeritus of Conducting, and a frequent guest, at Eastman. During his tenure with the Eastman Wind Ensemble, Don widened its repertoire to include everything from colonial Americana to sophisticated works by contemporary composers, as well as arrangements of music by Debussy, Shostakovich, and many other composers that are now standard wind ensemble repertoire. He took the Eastman Wind Ensemble on several tours of Japan and the Far East, starting in 1978. He also organized numerous recordings, including the Grammy-nominated Carnaval with Wynton Marsalis, which reached #1 on the Billboard Classical Charts in 1987. Don has co-written the book The Art of Conducting and co-edited the essay collection The Wind Ensemble and its Repertoire. He also served as the president of the College Band Directors National Association from 1985 to 1987. Through his work as a conductor, author, arranger, and recording artist, Don has helped further the principles of the modern wind ensemble, including, in his words, “specified instrumentation, orchestral concept of performance, single performer approach [and] development of individual tone colors.” He was also a teacher and mentor who had a profound impact in the lives of thousands of Eastman alumni. In recognition of his work as a champion of the symphonic wind ensemble, and his many contributions to Eastman and to the world of music, the Eastman School of Music presented Don with its Distinguished Alumni Award this past Meliora Weekend during the culminating Eastman Wind Ensemble concert on Saturday, Oct. 6. Don is also donating his extensive Eastman Wind Ensemble and Film Music archives to the Eastman School of Music. Housed in the Eastman Ensemble Library, these will provide a research center for Eastman faculty and staff members, students, and visiting scholars.